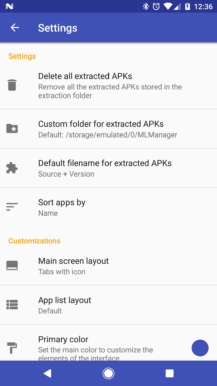 There are plenty of reasons why you would want to extract APKs from your device. 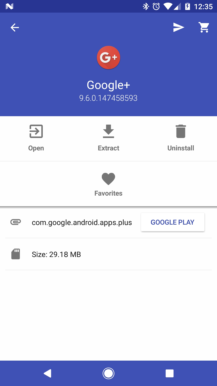 Maybe you want to back up an app or game that was taken off the Play Store, or you want to upload the latest Google app updates to APKMirror. 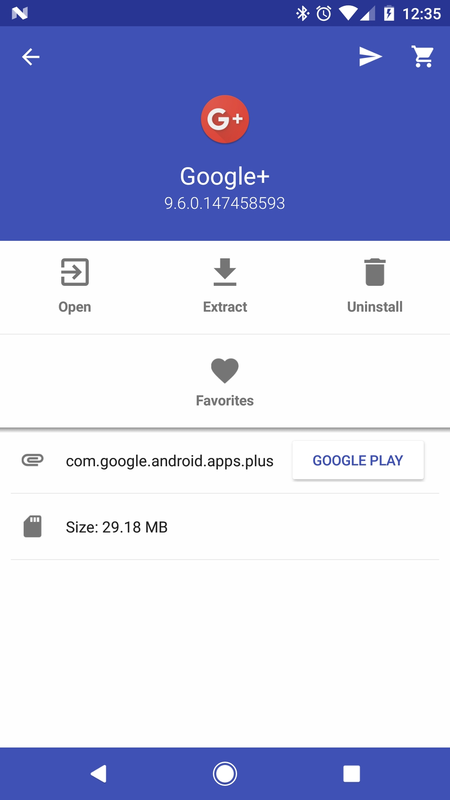 There are about as many APK saving/extracting tools on the Play Store as malware-ridden flashlight apps, but ML Manager is probably the easiest one to use. 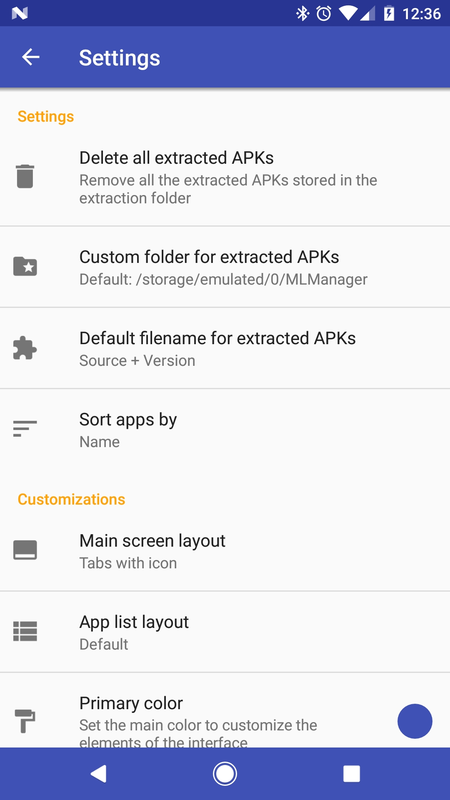 I use Solid Explorer as my file manager of choice, and it offers a built-in APK extractor tool. But saving the file requires copying it, switching back to the file manager, and pasting it somewhere. Directly sending the APK to another application also consists of a few taps. ML Manager does exactly one thing - back up APKs of local applications. User-installed and system apps show up in two lists, with each item including shortcuts to save the file to a previously-selected location or directly share it to another app. Nearly everything you need is just one tap away. 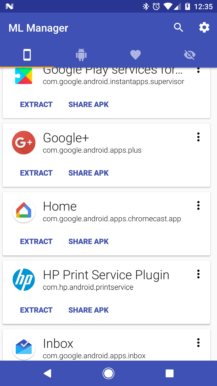 Tapping on an app reveals more functionality, including a link to the app's Google Play listing and shortcuts to open/uninstall it. You can also add applications to the Favorites tab for easy access. Just because ML Manager has essentially one feature, doesn't mean you can't customize it. You can set a custom folder for extracted APKs, change the layout and theme, and even set the filename format for saved applications. There's also a night mode. We're not being paid to say good things about ML Manager - it's just a very good app that some of the AP team is using, and you might find it useful too. 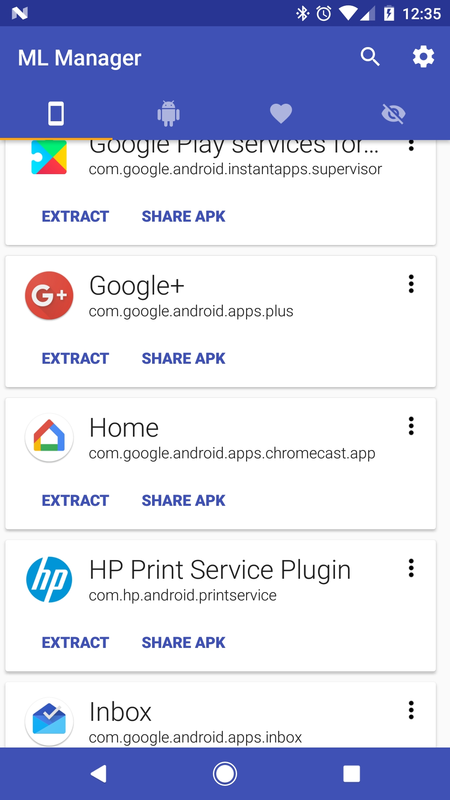 There is also a paid version that allows you to hide apps from the launcher, uninstall system applications, and clean data/cache per app - but root is required for all that.